Proposed disqualifying benefits would also include parts of Medicare and vouchers for Section 8 housing. WASHINGTON — The Trump administration announced a proposed rule Saturday that would make it harder to obtain visas or green cards for immigrants already in the U.S. legally, as well as those seeking to enter, if they have ever been dependent on certain public benefits, like Medicaid, food stamps or public housing. The proposal, which can become a rule after a public comment period, rewrites a 1999 rule that limited green cards for immigrants who were dependent on cash benefits, but did not take into consideration health care or other non-monetary benefits. Originally, the rule known as "public charge" began in the 1800s as a way for the U.S. to deny entry to immigrants who were likely to become a drain on the economy. "This proposed rule will implement a law passed by Congress intended to promote immigrant self-sufficiency and protect finite resources by ensuring that they are not likely to become burdens on American taxpayers," said Department of Homeland Security Secretary Kirstjen Nielsen. As NBC News previously reported, earlier versions of the proposal included more draconian measures, such as limiting green cards and citizenship for immigrants who had used Obamacare or certain tax credits. "The [disqualifying] benefits generally represent the largest federal programs for low-income people by total expenditure that address basic living needs such as income, housing, food, and medical care," a spokeswoman for DHS said in a written briefing. Proposed disqualifying benefits would also include the Medicare Part D low-income subsidy and vouchers for Section 8 housing. 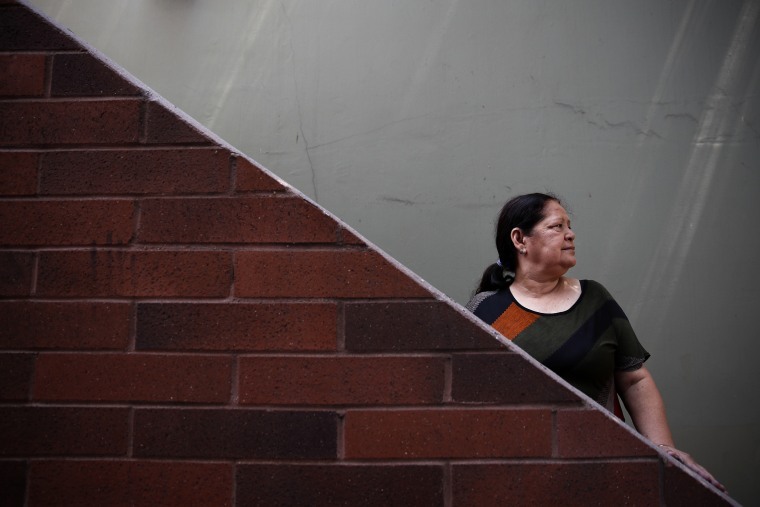 Immigrants who receive more than $1,821 annually, 15 percent of the federal poverty guidelines, in benefits that can be monetized would also be disqualified from receiving green cards and visas.